A recent string of tragic car vs. 18 wheeler tractor trailer truck accidents on Georgia’s Interstate I-16 leave drivers worried and wondering: how can the risk of these fatal accidents be reduced? Short answer: take extra care and caution when driving near tractor trailer trucks, and hope that Governor Deal’s plan to add extra highway enforcement officers helps. It was national news when five nursing students (one from Alpharetta, Georgia) were killed in one wreck with a tractor trailer, 18 wheeler truck on I-16 in April of this year. On the heels of that wreck was another multi-vehicle wreck with a tractor trailer which killed another five people in May – only 20 miles away from the April accident. Most recently last Friday, three north Georgia residents were killed near Truelen County, Georgia, in another vehicle vs. tractor trailer truck wreck, once again on I-16. The trucking company, Total Transportation of Mississippi, which was involved in the wreck killing the five nursing students, is reported to have had 85 wrecks all over the country and is considered to be one of the worst trucking companies in the nation with numerous trucking regulation violations. An investigation after the I-16 wreck reported that the truck driver failed to slow his 18 wheeler when traffic slowed on the highway. The driver then hit the nurses’ vehicles from the rear, causing a fiery explosion. 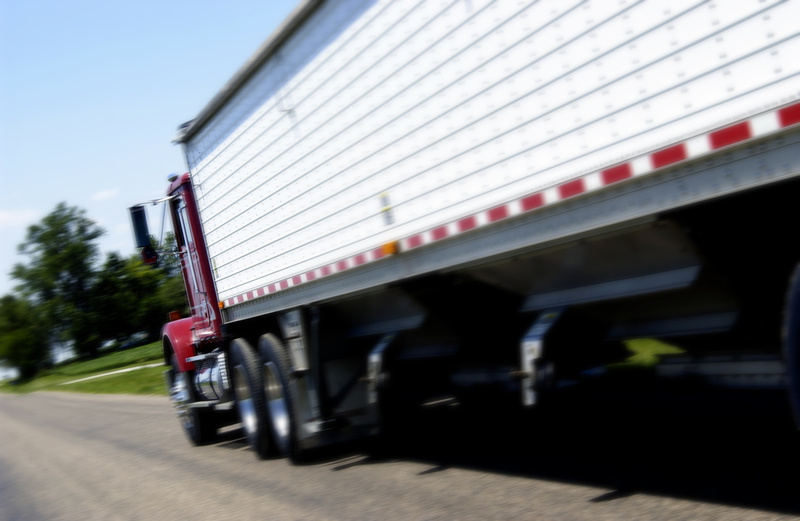 Many truck drivers and truck companies are to blame for causing fatal wrecks but drivers of smaller vehicles should know how to drive defensively around 18 wheeler trucks. These trucks have so much mass that they require extra stopping time and extra space. Drivers of smaller vehicles who don’t give wide berth to tractor trailers are playing Russian roulette. One truck driver writing for Popular Mechanics (a technology magazine) provided some tips on not getting squashed here. Common sense dictates giving a tractor trailer plenty of room. Get out of its way. Don’t ride in the trucker’s blind spot (along the sides) if you can help it. Don’t get in front of a truck down a hill, and so on. In response to the string of fatal wrecks on I-16, Governor Nathan Deal has proposed increased law enforcement presence on that stretch of highway near where those three accidents took place, as well as additional patroling on high risk highways in the Atlanta area. Once the new officers are in place, Georgia will have approximately 300 commercial truck enforcement officers.